I used to “pooh-pooh” devotional books, insisting that they were for baby Christians who still needed to drink “milk” for their spiritual growth. I was strongly challenged on this point of view and gently pointed to certain devotional books available on the market. Many of us dismiss these books, thinking we have “outgrown” them. Yes, some devotionals are designed for new believers, teaching basic principles and scripture that encourage faith and build the basic disciplines and beliefs of the Christian life. They do indeed provide “milk” for new believers. Eventually these will not provide enough nutrients for those believers who have developed the ability to spiritually “chew” on more challenging material. It is expected that we as believers should migrate to more challenging material as we mature and develop in our understanding. 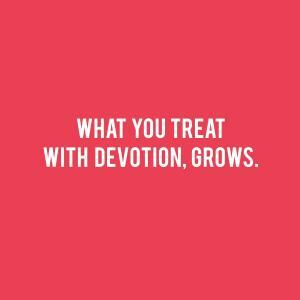 But using devotionals have the following distinct advantages. They help develop the regular discipline of having a devotional or quiet time. Books are usually dated, with a study for each day and this enables you to keep track of when you last did do a study. The use of a devotional is a fantastic tool if your spiritual discipline of every day time with God is not regular. They also provide ready access to material instead of using your time finding something to work on. Often we waste time deciding what to do, or get stuck in patterns of reading the same passages or books over and over. Devotional books introduce new scripture, new spiritual concepts and are a wonderful tool to step change your time with the Lord. I believe that if you are using a regular communication channel (like a devotional) God will use it to speak to you because God longs to commune with us and be in a relationship with us. So He will use whatever we are using and listening to, to speak to us. God is always keen on a relationship with us, we are not always attentive. As I mentioned, I was pointed to other devotionals available on the market which I had never noticed before by a good friend. These devotionals are not marketed to the broad public and are often overlooked by us. Their covers are not eye-catching and the authors perhaps unfamiliar. Many are classics, written by the “older” generation and perhaps using language that is not that familiar to us, but the principles taught are still straight from scripture and require a bit more meditation (chewing on) before the concepts are digestible. 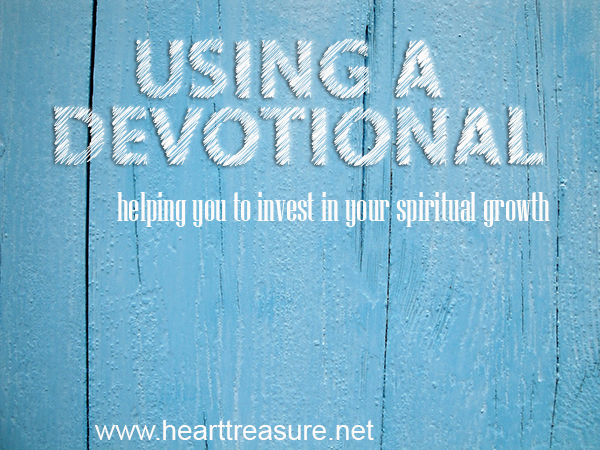 I have made a list of devotionals that are overlooked that are perfect for refreshing that spiritual discipline of having a regular time with God. These have shaped my own life and some, are waiting on the bookshelf ready to shape my life in the next few years. Here is my challenge: Are you exercising the spiritual discipline of having a regular time with the Lord each day? Would using a devotional help you to make that time more regular? Below are some suggested Devotionals that I would recommend. One year book of Psalms – Randy Peterson. Father, help me not to waste another day, help me get up and invest in growth. Are you being a Horse?